This is the first Blog Hop Wednesday of 2012. My first partner of this year is Charul Ajmera. She has a wonderful blog. As first impression is the last impression, her blog has made a space in my heart. I picked Kalakand from her blog. My hubby is a Kalakand lover and his dream of having homemade kalakand has finally come true. Thanks to Charul for this. 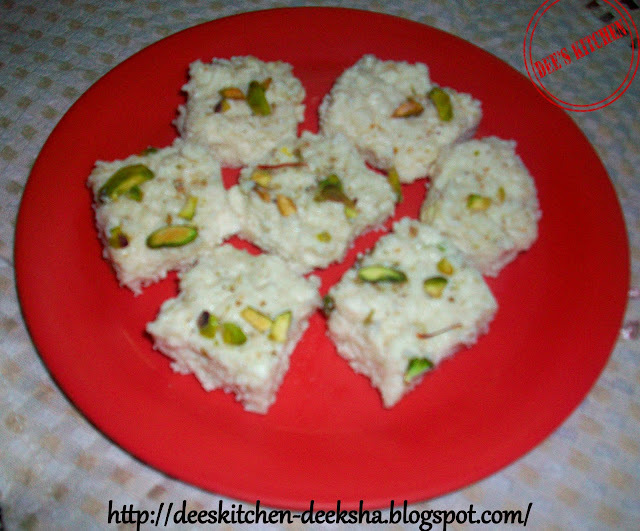 It is quick and easy to make recipe and my kalakand came out perfect and delicious. My hubby and children enjoyed a lot. * In a plate mash the paneer coarsely. Add milk powder and mix. * In a heavy bottom pan add condensed milk and mashed paneer. * Switch on the fire. Cook on medium heat. Stir regularly. * When the mixture gets thicken and leaves the sides of the pan. Add cardamom powder and switch off the fire. 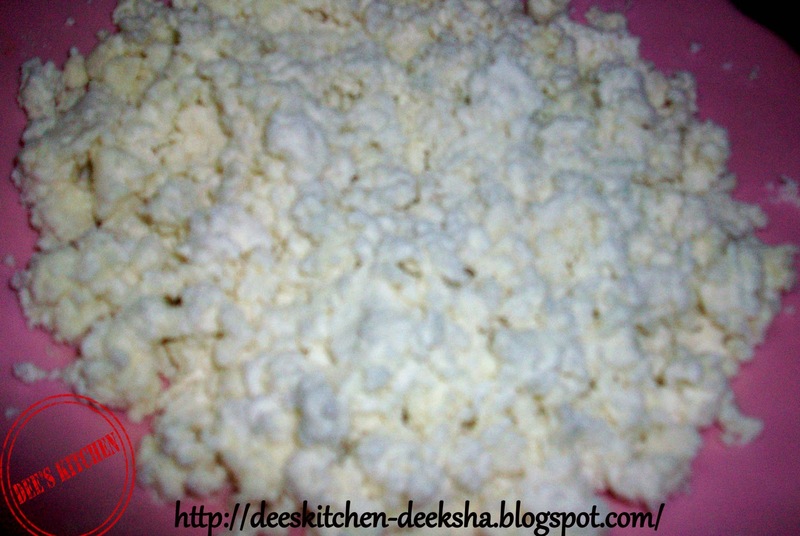 * Transfer this mixture on to a greased plate. Sprinkle cardamom powder. * Garnish with saffron threads soaked in water and chopped pistachio. * Let it cool completely and cut into squares. ooh ! looks fab... 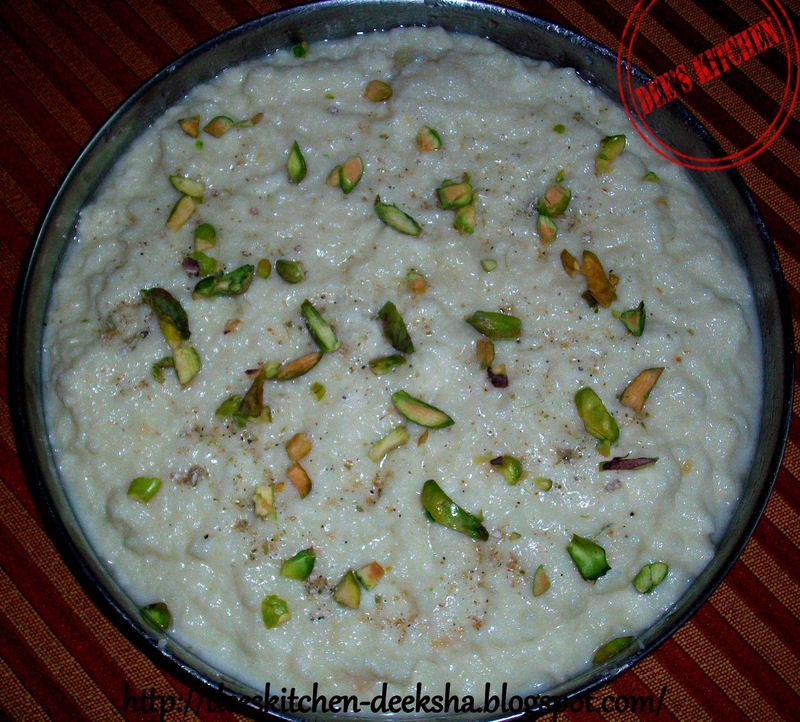 I always thought making kalakand was very tedious.. must try soon.. thanks for posting Dee ! That was so easy Deeksha. 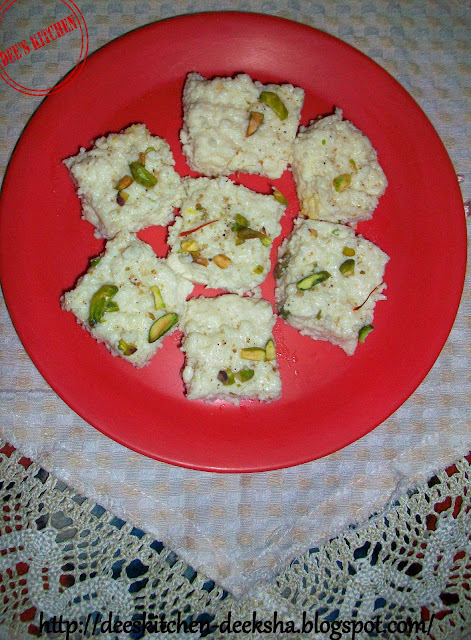 i have never tried kalakand before at home. Shall try this one out. wow such an easy one.. looks so good n yumm.. Wish to have some rite now..my all time fav..
Who can resist kalakand,yummy yummy!! so tempting and yummy kalakand !! Amazing looking kalakand. Excellent pics. Kalakand looks fab..! Amazingly delicious..! I am hosting my first blog event plus giveaway - Valentines Special. Do check it out and be a part of it. Would be great..!